An interesting story concept in search of a good plot is always best served by insightful character interactions, an intriguing setting, and atmospherics. A pity this one has Charley being as peevish as Peri on a bad day, the Doctor feeling listless, and a setting that’s basically a corridor crawl dressed up with moldy dirt. The Doctor, Charley and C’rizz are on a quest to find the TARDIS. A bit of a trick, since we last saw her dissolving into nothingness, and the Doctor pronouncing her epitaph. In Scherzo, she was dead, dead, dead. She had Ceased to Be, according to the Doctor in a fit of profound nihilism. But she’s his symbol of hope, by golly, and he’s started looking for her again. In fact, a new spidey-sense we’ve never heard of before tells him she’s somewhere in the bugridden jungle where they’ve been wandering for days, maybe weeks. But forget the TARDIS. 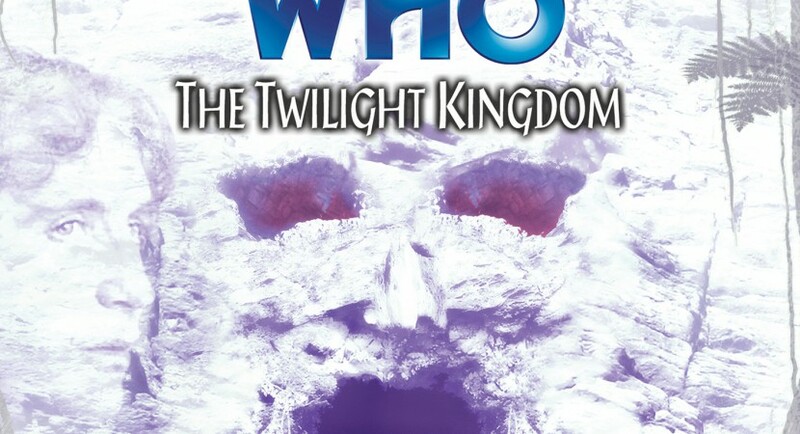 It’s time for that most innovative of plots, “The Doctor and his companions are arrested as trespassers and possible murderers.” Most of the story is spent nosing around a secret underground base. It’s not at all clear what the local band of freedom fighters are preparing for or doing down there. Soon, that’s true of the Doctor, C’rizz and Charley as well. There’s moments of visceral horror, but I’m a little burned out on ick after Creed of the Kromon — and anyway it’s pretty tame here. There’s a surprise reveal, except that for me it wasn’t much of a surprise. At least we learn a little more about C’rizz. Charley is peevish for reasons of plot, but it’s a bad sign when one can’t tell much difference from the way she’s been acting lately anyway. The chemistry between her and the Doctor has largely evaporated. Which is the point, but what is the point of losing the TARDIS, a universe with things and places we cared about, and an emotionally resonant Doctor/companion dynamic? I have faith we’ll be back to great Doctor Who with this team sooner or later, but this was definitely a rough patch in the Eighth Doctor’s run. The most interesting thing about this audio is that the Doctor is pitted against a foe who can read his mind, knows just what he’s planning, and understands him all too well. However, even that conceit saps drama from the story. How can one play poker when your opponents can see all your cards? At least the villain in this case is voiced by Michael Keating (Vila in Blake’s 7) with a very un-Vila performance, channelling a evil Blake. Jeremy James also plays another good-natured soldier who’s easy to like. Janto’s a delightfully down-to-earth guest character as well. Unfortunately, the others do little to add extra sparkle to a lacklustre outing. Honestly, this story isn’t that bad, it simply failed to grab me. We’ve received several hints now that this planet is a giant laboratory, with each “zone” a self-contained test tube for a social experiment or other behavioral study. The final word of the audio suggests an unlikely scientist at the back of those experiments. While I know the Doctor came into this universe looking for him, and it certainly makes sense if this planet has been turned into a sort of Game of Rassilon, I’m wistful. We’re in a new universe! Wh can’t the Doctor and Charley experience adventures and adversaries that are new, instead of more of same? But now I’m just being nitpicky. Making the Interzone a retread of the Death Zone is a clever idea. I’ll have to wait until next season to find out if my guess is correct.